Shopping for Five Nights at Freddys Mugs? Here's a lidded mug that should warn and keep unwelcome visitors away from your desk. 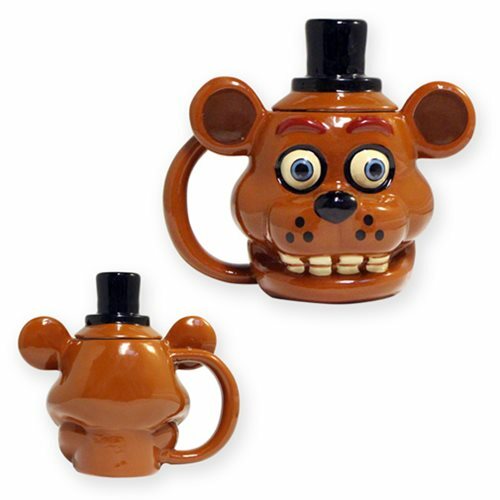 You can probably find it at Freddy Fazbear's Pizza, but it might be easier and safer to get your Five Nights at Freddy's Freddy Fazbear Molded Mug right here at Entertainment Earth! Hand wash only. Not dishwasher safe. Do not microwave.